Charleen is “The Mama” of Happy Buddha. Charleen has a deep spiritual practice that deeply informs her teaching style. Happy Buddha’s, “Mama Char” has been practicing yoga and meditation in many forms for well over a decade. After surviving a medical emergency in 2009, she realized that it was yoga that saved and helped her to heal. Since then, she has become even more devoted to her practice and to sharing her knowledge, love and devotion with the yoga community. She completed her 200hr Teacher Training Program with Kelly Kamm at Happy Buddha. In addition, she has completed Advanced Therapy, Pranayama, and Restorative Yoga with Rodney Yee in 2018. 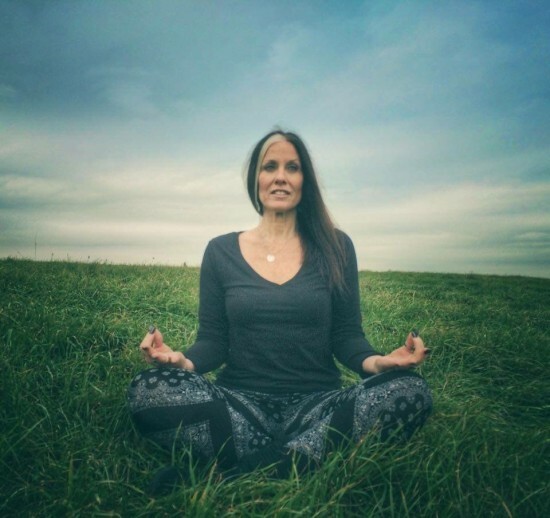 She has completed her Advanced Rasa Restorative Teacher Training Program with Jamie Lyn Skolnik, and continues with her studies with amazing teachers like Dana Flynn, Mary Dana Abbott, Cyndi Lee, Joshua Greene and many others. Charleen is also a Level Three Reiki Master and a certified Thai Bodywork practitioner. As the mother of three, and now the grandmother of one, she understands the constant fluctuations of modern life and incorporates a strong yoga practice in an effort to maintain, balance, strength, serenity, and humor. Students can expect a fun, energetic, and nurturing class. Charleen also has a strong energy connection with her students that has allowed her to work with those unable to attend classes in the studio due to health issues. Her healing touch has helped dozens find the peace and ease through yoga, that otherwise would not have been able to do so. If you hang out with Kelly too much, you’re at risk of catching a severe case of YOGAMANIA. Kelly is the original owner of Happy Buddha as well as the director of the Happy Buddha Teacher Training program. She has been devoted to her practice for over a decade and is amazed at how she still continues to learn, grow, and find fresh perspective. She has done numerous trainings, most recently another 200 hours at Laughing Lotus Yoga Center in NYC. To her, yoga is not about how much of a pretzel you can twist yourself into, it’s learning about yourself on your mat and taking that into your daily life so that you live up to your full potential as a human being. Kelly teaches a creative vinyasa flow practiced rooted in the ancient mythology of India. Her classes are musical, poetic, and deeply spiritual. She is known for her storytelling and her ability to make the philosophy of yoga relatable, to bring big subjects into an every day perspective. Expect a challenging and creative flow, plenty of great music, a dose of philosophy, a bit of chanting, and definitely some laughter! She is honored to study with and be influenced by many great teachers including Dana Flynn, Cyndi Lee, Kathryn Budig and Douglas Brooks. She also draws inspiration from The Work of Byron Katie, the teachings of Pema Chodron, the poetry of Rumi, and the endless wisdom of her 6 year old guru Milo. It is often said that our yoga practice doesn’t really begin until life gets hard, and she has experienced that first hand. Her goal is to help people see that our greatest struggles can actually be our greatest strengths. Kelly combines the power of movement, music, and myth to help others move through life transitions with grace and ease. She hopes that through her strong classes you will learn how to step into your challenges and recognize that this life is so much more wonderful and magical than you could possibly even imagine! Brian’s interest in Eastern sciences and philosophy began while still in high school. After moving into NYC to attend the School of Visual Arts to study photography, his passion for yoga came alive after September 11th. Brian discovered for himself the powerful healing benefits of yoga, and meditation. Soon after, yoga and meditation quickly became an integral part of his daily life, and has remained a staple throughout the years. He is always reading and learning about the many different facets including; Ayurveda, Tantra, Yin and Restorative yoga, as well as meditation techniques. He has studied with many traditions, and views his own style as eclectic, with a focus on meditation. Brian is a certified RYT-500, ERYT-200 through Yoga Alliance, and has certifications in Thai Yoga Bodywork and Aromatherapy. 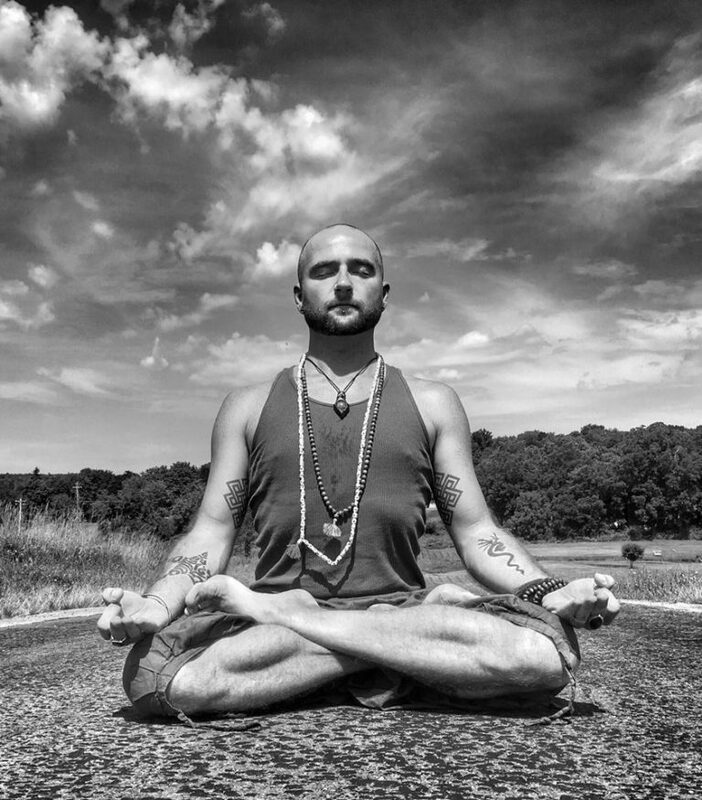 Brian is an advocate for Mental Health Awareness, and holds workshops demonstrating the healing properties of yoga for Anxiety and PTSD, as well as Yoga for Men workshops. Troy was first introduced to yoga in 1999. He was initially drawn to it as complimentary training for his martial arts training. Thinking that his boxing and Brazilian Jiu Jitsu would improve from the increased flexibility he started taking classes regularly. Very quickly it became apparent that yoga offered much more than flexibility. Breath control, body awareness, range of motion & the ability to be in the moment with heightened awareness are a few of the benefits he shares with others thinking about trying it out. Initially practicing in Denville NJ he moved to NY and lost focus on yoga for a while until he found Happy Buddha Yoga in Goshen. Right away he recognized the great atmosphere of the school and recently completed his teacher training there in 2013. He’s currently a Renzo Gracie Team black belt under Karel Pravec and teaches Brazilian Jiu Jitsu in Saddlebrook NJ. For a day job, his company is a consultant and inspector of Energy Star Homes. In his spare time, he and his wife are into hiking and pretty much any other outdoor activities. Staci also known as Anastasia, took her first yoga class in college and was immediately drawn to the calming energy and the challenging physical aspect of the practice. Yoga for her quickly became a healthy way of coping with stress and a more exciting substitute for the gym. Staci believes, “my life is forever changed after taking my yoga teacher training. It has opened up areas of my mind and spirit that had been hidden, and has allowed me to grow into a more loving and grateful person. I am constantly learning from this beautiful practice and it continuously provides my life with happiness and peace.” Staci’s style of teaching consist of her pushing her students so they can find their edge and become stronger with both their bodies and minds. Moving slower, focusing in on your breath, really feeling your body, and turning inward are the main goals of her classes. In the winter of 2014, Staci received her 200-hour teaching certification from Happy Buddha. 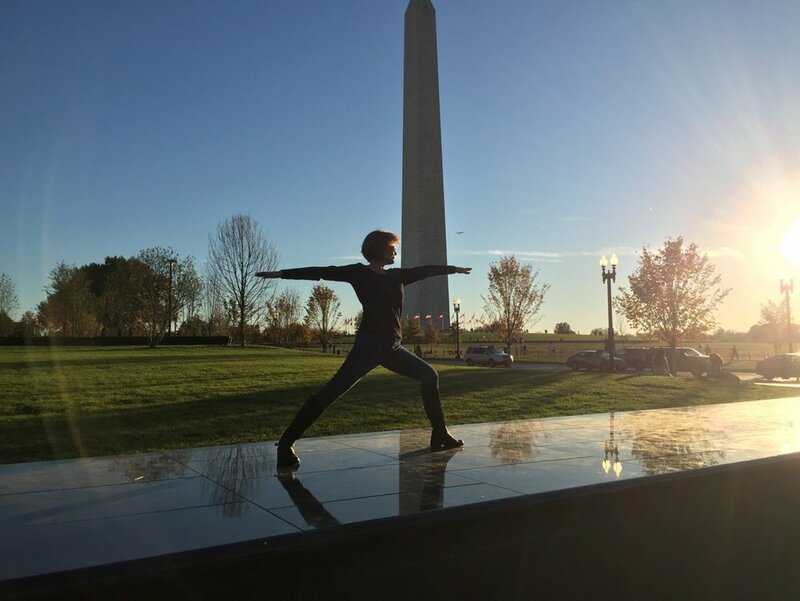 Taking a few years to practice teaching and developing her style she then received her 500-hour teaching certification from Spanda yoga, as well as certification through Spanda yoga in vibrant aging and back care in April of 2018. Staci is currently studying to become a 1000-hour certified yoga therapist through Spanda yoga. She believes that she is a forever student and that there is no end to the content that she wants to learn. When Staci isn’t practicing yoga, she enjoys playing with her dog Basil, gardening, hiking, running, and pretty much anything outside. She recently got a harmonium that she is eager to learn, and loves to paint, draw, and learn new skills. Rebecca's first introduction to yoga was in 2004 when her cross country and track coach introduced the team to some basic yoga poses. However, it wasn't until 2013 that she attended her first actual yoga class. The first class she took was a gentle vinyasa style yoga class at Happy Buddha. She was immediately enchanted with the studio. In 2017, she took her 200 hr teacher certification at Happy Buddha; studying under Charleen Predmore and Kell Kam. Rebecca's interest in alternative forms of healing led her to take her reiki master certification in 2018. Her goal is to one day incorporate her interest with alternative forms of healing into the mental health field because she believes there are many forms to healing and one approach does not fit all. You can expect a gentle yoga class from Rebecca with encouragement for inner reflection/awareness. Lori is thrilled to be part of the teaching staff at Happy Buddha, which is her yoga home and her yoga family. She completed her 200 hour certification almost four years ago at Happy Buddha and has been teaching there ever since. She is currently working toward her 500 hour advanced certification. She is also a Reiki Level Two practitioner. If you are new to yoga, check out her popular Monday night class, which is great for beginners or for those who have been off the mat for a while. Expect an engaging but nurturing class! Kaitlyn started practicing yoga at Happy Buddha during the beginning of high school and hasn’t looked back. She fell in love with the asanas, meditation, and mantras. She is a 200hr certified instructor and has a passion for sharing the beautiful gift of Yoga with anyone willing to try! She loves working with beginners and the elderly population. To Kaitlyn, Yoga is more about clearing the mind and learning self love than being able to do crazy poses. Kaitlyn’s other passions include hiking, canoeing, reading, and most all outdoor activities with her family and friends! Char O’Connor is a Certified Yoga Instructor, as well as a practicing Professional Registered Nurse. She is also trained in Body, Mind, and Spirit coaching. She is a breast cancer survivor and Warrior! Her strength and fight stems from her deep faith and belief in God. Her daily mantra is: “I can (and will) do all things through Christ who strengthens me”… Philippians 4:13 Char believes the presence and power of God in her life is love. She encourages all of you to Believe that you are a unique and beautiful creation. Liza was first drawn to yoga in High School and has been practicing ever since. Building an eclectic Hatha Yoga practice with the foundation in Jivamukti, Iyengar, Power Yoga and Ashtanga, Liza believes yoga comes from within and begins with the breath. She completed her 200 hour Teacher Training with Michael Stein at Ashtanga of New Paltz in 2006. She is also certified in Ashtanga Yoga by David Swenson. Ashley has been practicing yoga for ten years now and completed her 200hr Yoga Teacher Training at Laughing Lotus in NYC. Growing up as a dancer Ashley found movement in the vinyasa flow. Ashley believes that a strong body and mind are both equally important. She is crossfit level 1 certified and bootcamp certified. As an avid runner she understands how the mind and body need to be able connect to adapt to new situations. Ashley just finished school for physical therapy and looks forward to bringing movement and strength within a flow accompanied with the breath for easeful transitions taken throughout the class and through life. Debbie completed her 200hr Yoga Teacher Training Program with Kelly Kamm and her sister Charleen Predmore at Happy Buddha Yoga. She is the founder of Pure Symmetry Wellness, the first holistic wellness center in upper Orange County. She is a Personal Trainer, Life Coach, Wellness Mastery Coach, Nutritional Counselor, Class instructor, and Fitness columnist. After the sale of her business, she immersed herself in the yoga world and found a new passion. She has had love for working in all levels of wellness in the mind, body, spirit connection with both men and women since age 15. Debbie has trained many of the areas fitness experts who currently serve local communities and she holds degrees and certifications in the Holistic Health field, including Life Mastery Coaching, Yoga, and Personal Training. Her practice is geared towards working with the special population including the elderly, the physically and/or mentally disabled. 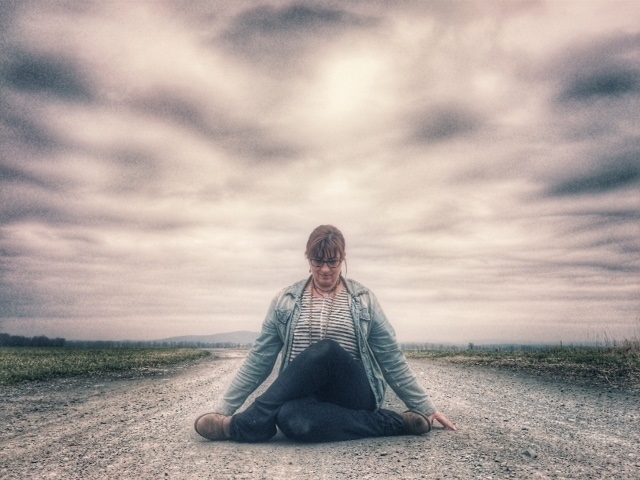 Devin began her yoga practice at Happy Buddha in 2013 shortly after the birth of her daughter. She found the physical practice of yoga helped to quiet her mind and better handle the everyday stresses of being a new mother. When the mind is quiet, the journey to self-discovery can begin. Devin’s passion for yoga compelled her to complete her 200-hour teacher training at Happy Buddha in 2017. She continues to learn through patience, practice and finding the teacher in everything. She loves sharing what she has learned in her vinyasa style classes that are designed to stretch and strengthen your entire body. Be prepared to sweat while creating space in both body and mind while listening to a fun mix of music. Mary finds her yoga practice to be very rewarding and continually evolving; always transporting her to different levels of self-awareness. She earned her 200 hour yoga certification and is a Reiki master. Mary loves working with people and feels that yoga has something to offer everybody. Her classes are accessible to yogis of all abilities, ages and interests. Always a student of yoga, she attends spiritual and yoga retreats and workshops and continues to study with incredible people, to deepen her personal practice and expand upon the knowledge that she can share with others on their yoga journey. I began my yoga journey at Happy Buddha in 2008, starting with beginner’s classes. This is where I absolutely fell in love with my practice. The beautiful flow of yoga was what made me feel so complete. When practicing steady breathing with meditation, yoga provides me with a clear mind and stability during my busy work day. I love to indoor cycle and weight train which is why I know yoga is so important for my muscles. Understanding the proper alignments for my own body enables me to maintain a safe practice. This is the core of my practice to provide a safe class while getting a great workout. This is what I love and incorporate in my teachings. Yoga is and always will be a part of my daily practice. I recently completed the 200 hour Happy Buddha training which is helping me structure an overall balanced and stronger practice for all yogi types. I have also taken several accredited workshops throughout the years which has helped balance my practice. I am so excited to continue with my journey here at Happy Buddha where I truly know I am part of a welcoming family. Janet first turned to yoga in September 2009 at the suggestion of her sister, Edna, as a means to cope with the challenges life can gift us from time to time. That initial class was at Happy Buddha Yoga, a place of comfort and home to so many, and one that Janet gives so much thanks to for giving her joy, clarity, and inspiration throughout the years, as well as treasured friendships. Through the loving guidance and encouragement from her teachers, Charleen Predmore and Kelly Kamm, Janet completed her 200 hour teacher training at Happy Buddha Yoga alongside her classmates, now family, with utter gratitude. She hopes to empower yogis through a light-hearted and fun flow for any level of experience to express. Yoga can help open us up to joy and connectedness to ourselves and the world around us. Let’s get there together! Mary is a certified 500hr RYT, Yoga Therapist and Level II Reiki practitioner. She is an Urban Zen Integrative Therapist trained under Rodney Yee and Colleen Saidman Yee. Urban Zen was founded by Donna Karan to bring multiple holistic therapies into patient care including caregivers and staff. Mary firmly believes that yoga is for everybody and works with her students to help them find the benefits of focusing breath with movement. No matter the daily challenges you face, Mary’s class will serve as a sweet reminder to be in the moment and will give you the tools to balance & relax both body and mind. Tammy’s yoga journey began in 2000 practicing with a VHS tape by Rodney Yee. In 2011 she decided to try yoga for the first time in a studio at Happy Buddha Yoga. She didn’t realize at the time of the amazing benefits of yoga and that it would be life changing for her. Besides being certified as a 200 hour yoga teacher, Tammy is an Occupational Therapy Assistant and is Reiki II certified. She loves integrating yoga and Reiki into her OT sessions. 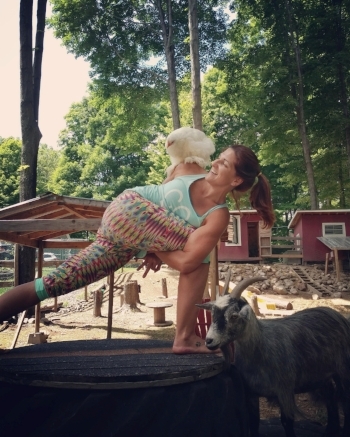 Due to some physical limitations and challenges of her own, she feels that she has a deep understanding and compassion for others who may not be able to practice yoga in the traditional ways. Tammy has always liked Happy Buddha’s logo “Yoga for every body” and feels very strongly about the truth in this statement. She enjoys adapting and modifying the poses so that anyone can feel good right where they are in their practice. She says that Yoga has led her to a more peaceful, purposeful life. Susan came to yoga later in life but once she started, she never looked back. As a wife, mother of three grown children and grandmother to three, she is grateful for her deepening understanding of yoga that allows her to be thankful for the smallest gifts in her life. She has been a practicing physical therapist for almost 40 years and has specialized almost exclusively in pediatrics throughout her career. She has worked with hundreds of families and their children through the early intervention program, using her extensive knowledge and background as a pediatric physical therapist to help families understand typical development as well as atypical development. Ten years ago, her passion for helping families led her to become a certified educator of infant massage. Recently, semi-retired as the owner of a large Early Intervention agency in Orange County, Susan decided to further deepen her knowledge of yoga and has completed her 200 hour teacher training certification at Happy Buddha. In addition, she recently completed a 25 hour restorative yoga training. As an athlete, she originally came to yoga as a form of physical exercise, but has found much deeper meaning in the breathing practice and teachings of yoga. With our world seemingly in chaos around us, she has found the peace and calm she was looking for on the mat. Always a teacher, Susan takes deep satisfaction in helping her students come to a deeper understanding of themselves and finding a balance in their lives through yoga. She is adept at providing accommodations for those with special needs or physical challenges. Susan is also an expert in early childhood development and is excited to share her knowledge and give guidance to parents of new babies through Happy Buddha’s Baby Sense classes. I’m young at heart, truly love all animals, very involved mother of two, utterly in love with my husband, close to my family, avid reader, sun worshiper, and yoga practitioner/ teacher. Several months before my first actual yoga class I had broken my foot training for my black belt in Tang-Soo-Do, at which time I realized I needed a new path to better care for my body. I came to Happy Buddha in 2012 on a whim with a friend for something to do. Never did I think that first class would put me on the path of my never ending journey. As I started practicing asanas daily I craved more and more of the other parts of yoga, studying under the teachers at Happy Buddha, I’ve never been without the knowledge and guidance I needed to immerse myself into my practice. My desire to learn more, and with a little nudge of support, I’ve found myself in Happy Buddha’s 200hr teacher training under Charleen and Kelly, and already looking forward to going for my 500hr. As a young adult I had mostly disassociated with organized religion and found myself loving that yoga accepts all types of people and allows individuality while also being part of something bigger. I really enjoy teaching a Level 3 class, which is designed for students looking to work towards challenging complex poses, arm balances, inversions and a sprinkling of stories, mantras and mudras. Kim feel in-love with Yoga about 17 years ago! Embraced the practice and continued to be inspired at the beauty and healing qualities for mind body and spirit! Decided to take her passion to the next step and completed her 200hr teacher training this past spring of 2018. She is currently tteaching workshops and substitute for Happy Buddha Yoga, a beautiful safe healing studio in the picturesque and historical heart of Goshen, New York. Her yoga classes truly are beautiful, fluid mind body journeys, with authentic meditation and story telling; her style allows one to be raptured by tranquility, serenity and peace. Her yoga tapestry gracefully weaves in breath, movement and meditation at a steady and fluid rhythm. If there’s one word to sum Michaela up it is PASSIONATE. Her life is yoga, movement, health and wellness. In any style class you take with Michaela you will do mindful, fluid movement linked to the breath to create a moving meditation. Michaela is also known for her detailed alignment cues so that any level yogi is able to take her class. You will leave her class not only feeling deeply relaxed and restored or strong and flexible physically, but also empowered and supported.